This vegan pumpkin pie is also paleo and has a richer and creamier pumpkin filling than your traditional pumpkin pie! A great grain-free and gluten-free pie for Thanksgiving dessert. Scroll down for a how-to recipe video. I’m SO excited about this recipe. I made it about a month ago and have been trying to be patient and not post it before Halloween. But according to the people on Instagram, it’s never too early for pumpkin pie so here we are! Pumpkin pie has never been a favorite of mine because of the texture. To me, it’s just kind of bla. But this vegan pumpkin pie?! Definitely the opposite of bla. :D I’ve made some no-bake cashew-based desserts before, like these no-bake paleo vegan key lime pies and this paleo vegan maple frosting but this one is different in that it’s baked. The result is a super creamy, rich and decadent pumpkin pie. I’m not vegan nor paleo but I’m telling you… if I had the choice between this filling and one with sweetened condensed milk and eggs, I’d much rather have this one. Nobody will know that it’s allergy-friendly and made healthier. Before I made this, I tried some recipes that basically just used coconut milk in place of the evaporated / sweetened condensed milk and coconut sugar instead of brown sugar. But nope. I can’t have any coconut taste in my pumpkin pie. I did use some whipped coconut cream on one piece, but to be honest, it was just because I wanted the pie to look more interesting for the pictures. I then wiped it off and put it in a smoothie because coconut taste is not welcome here. ;) And seriously – the texture in this cashew-based recipe is so much better than the coconut milk based ones! The crust is the same one I used in this paleo chocolate fudge pie and like I said in that post, the only kind of crust I really like is a cookie crust. This isn’t at all a cookie crust but it’s still a great crust (if you like regular pie crust!). I used a chia egg in the pictured pie but a regular egg works just as well! If you can eat grains and aren’t vegan, the whole wheat cookie crust in this blueberry cream cheese pie would be my favorite crust to use in this (or really – any!) pie. I’m not sure if you’d need to pre-bake the crust, though. I’m guessing not but I’m not positive! Prefer a cheesecake? This vegan pumpkin cheesecake sounds delicious! There are a few downsides to this pie. I think it’s really best to prepare it the day before serving (or the day of). I didn’t cut into the pie until after it had chilled overnight and both the crust and filling were perfect. The next day (so two days after I had made it), I thought the crust wasn’t as good. It had gotten kind of soft. And I thought the filling started tasting a little weird on the fourth day. If you’re worried about not being able to eat it all before the funkiness sets in, freeze it! I’m pretty sure it’d freeze well, though I doubt the crust would be as crisp. If you’re paleo but not vegan, definitely also give my paleo pumpkin donuts a try! They’re seriously SO good! And for the vegans, I have vegan pumpkin muffins! Which you also coat in cinnamon sugar, making them donut-like. 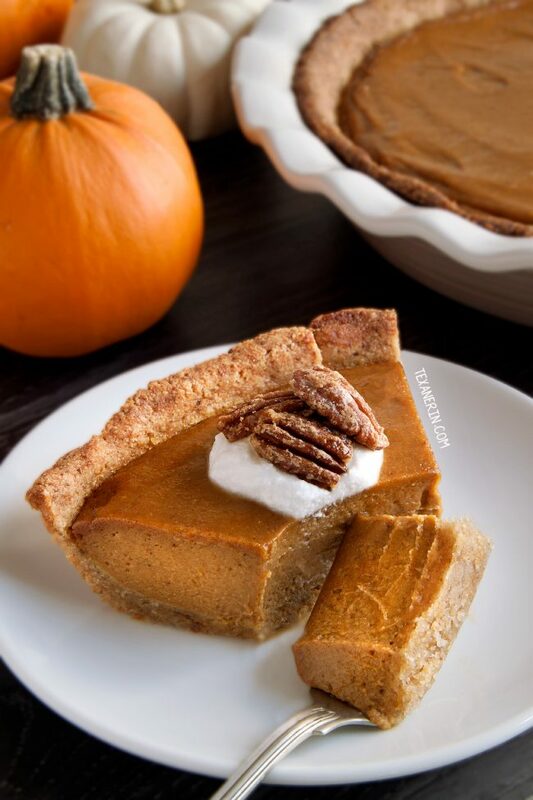 I’d love to hear what you think about this paleo pumpkin pie! It’s one of my very favorite recipes ever. Position the rack in the lower third of the oven and preheat it to 350 °F (175 °C). Prepare the crust. You can either mix the dry ingredients together and then stir in the wet ingredients with an electric hand mixer or by hand (which will take some time and strength) until well combined or use a food processor. To use a food processor, place the almond flour in the bowl of a food processor fitted with an S-blade. Sprinkle the sugar and salt over the top and then add the coconut oil and egg / chia egg. Pulse just until a ball forms. Press the mixture up the sides and over the bottom of a 9" pie plate. Set aside while preparing the filling. If you don't have a pie shield then you should create one now out of foil. Set it aside until you need it after it's baked for about 20 minutes. Blend all the filling ingredients in a high-powered blender (I don't think this will work in a food processor) at medium or high speed for about 1 or 2 minutes or until completely creamy and no lumps remain. Pour the filling over the unbaked pie crust and bake for 45-55 minutes or until the topping looks slightly puffy and has turned slightly brown. I put a pie shield over my crust after about 20 minutes to prevent it from browning too much. The pie will still be quite soft but firms up as it chills. Let cool completely, about 2 hours, and then refrigerate for another 2 hours. Best served on the day of making or the next day. Keep refrigerated for up to 2 days and freeze leftovers after that. By the way, the pictured slices are WAY too big. I didn't realize how rich the pie was until after I had sliced them! To make a chia egg, mix together 1 tablespoon of ground chia seeds and 2 1/2 tablespoons water. Let sit 5-15 minutes or until goopy like an egg. To soak the cashews, place them in a large mug, small pot, or some kind of container that's safe to pour boiling water into. Pour enough boiling water over the cashews to cover them. Let them sit 2 hours. Since everyone's ideal amount of pumpkin pie spice is different, I recommend starting off with 2 teaspoons, blending, tasting and adding more, if desired. I used 3 teaspoons. Crust adapted from Elana's Pantry. Healthier S’mores Cookie Sandwiches + a giveaway! 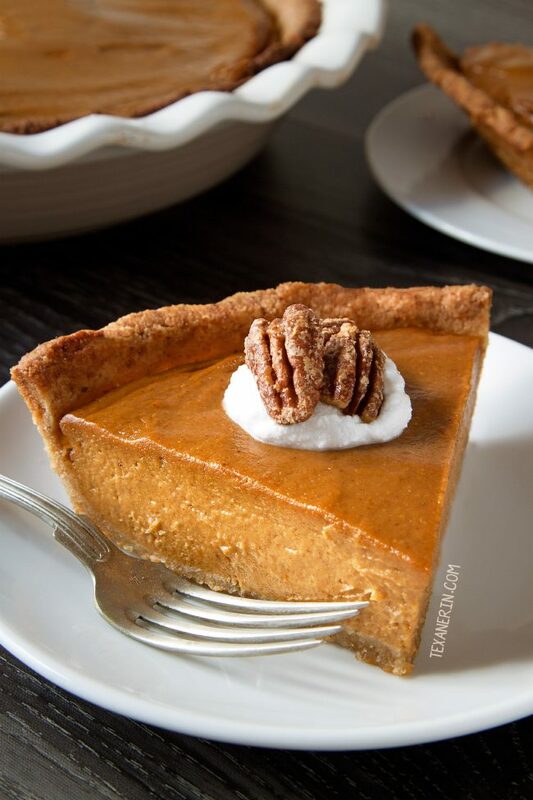 109 comments on “Vegan Pumpkin Pie (paleo, grain-free, gluten-free, dairy-free)” — Add one! Yay! I’m so happy to hear that. :D It’s mine, too. Thanks for your comment (and sorry for my slow reply!). This pumpkin pie recipe was an epic win!!! I love the cashews and how they take the place of the usual arrowroot powder of whatever weird thickener. The filling was creamy and delightful! So I used 1/2 c maple syrup, 1 TBSP coconut sugar and enough liquid stevia to pump up the sweetness to the perfect level. I used a frozen pie crust because circumstances required it for me- time was short. It was great, and I hope to try your crust in the future. I’m so happy that you liked the pie! I’m glad that it came out well for you with less syrup. :) I made this pie a few weeks ago and paid close attention to the sweetness since some other commenters also mentioned using 1/2 cup of sweetener. I must have an awful sweet tooth because that wasn’t enough for us and I couldn’t get it to blend easily, either (but even with the coconut sugar, it’s “only” 5 to 7.5 teaspoons of sugar for 8 or 12 pieces, so I’m not too upset at that number ;)) And that’s awesome that the non-vegan guys liked it! Woohoo. :D Thanks for your comment! Great recipe! I’m soaking the cashews as I type! One question: any need to grease the pie tin? Hi there and sorry for just now replying! No need to grease the pie plate (a recipe should always say if it’s supposed to be :)) I hope you enjoyed the pie! I can already tell this is magic and it’s not even out of the oven. Firstly, I fought off my wife to lick the blender blades from the filling. Secondly, I think I nailed the crust as it looks heavenly at least. Thanks again for this great recipe that we take to a vegan thanksgiving pot luck! Yay! I’m happy to hear that it worked out well for you. :) And yes – always a great idea to use a scale! So much less room for error. I hope that it was a hit at the potluck! Thanks for your comment. This pie filling is the seriously amazing! I have been making it using it baking my own pumpkins and squash instead of the canned pumpkin. I’ve been practicing for Thanksgiving. The crust is not my favorite, it turned out really hard and cardboard like. So, I am experimenting with different crusts. Today I am baking it with half almond flour and half gluten free gram crackers, if I find something amazing I will post what worked. I’m so happy you like the filling! But the crust definitely shouldn’t be like cardboard. I made this pie + crust about a week ago and have a failed pecan pie with this crust sitting in the kitchen right now. I hope your experiment goes well! Like I said in my post, the only crust I really like is cookie crust so your version sounds awesome to me. :) Thanks for your comment! How did the crust with the graham cracker taste? Amazing! The best pumpkin pie I Have ever had. Woohoo! So glad to hear that. :) Thanks for your comment! Great idea for Valentines! Thanks for sharing this! Can I use anything in place of Maple syrup? I just ran out after 3/4 of a cup! Merry Christmas to you, too! Sorry for just now replying to your question. I live in Europe so I was already sleeping when your comment came in. I wouldn’t add another egg. Did it end up working out? I baked this pie for a holiday party yesterday and it was so good! Everyone loved it! Thank you for the recipe! This was a great recipe! I brought it to Thanksgiving thinking no one would like it as much as the store bought one, but they all liked it better. I need to practice placing the crust, but I will make this again! Best Pumpkin Pie I’ve ever had and I felt great the next day!!! Thank you so much for sharing this fabulous recipe! Woohoo! So happy to hear that. :) Thanks a ton for your comment! Hey I just made the pie and it’s not really “firm” and when I stick a knife in it, it still has pie goo on it lol.. I used already made pie crust but kept it in the oven an additional 20 mins but still has stuff on the knife when poking it..
Will refrigerating it make it like a “normal” pumpkin pie? I’m having a hard time telling if it’s cooked. It’s still wibbly & a knife doesn’t come out clean but it’s fluffy & brown. Hello! Excited to make this…. but almond flour is so expensive! I’d be using the entire $8 bag I just bought. Is there another GF option I could use to substitute in ~halfish? Flax seed? Hi there! Unfortunately, nuts flours aren’t interchangeable with non-nut flours. Do you have access to a cheaper kind of nut flour / meal? What about almond meal? That’s usually cheaper than almond flour! I’ve heard of people using sunflower seed flour as a sub but I’ve never tried it and have no idea if it’d work here. Sorry about that! Perfect recipe! Except I can’t have cashews. Any alternative suggestions? Thanks! I wouldn’t try another type of nut but a few of the commenters below you made the pie cashew-free! I haven’t tried their versions so I have no idea how it compares to the original, though. You drain the cashews and use the juice or you get rid of the juice and mix up the softened cashews with everything? I’m confused as to which you use! Delicious! I made this for my daughter-in-law who is vegan and it was delicious! I make this all the time now even though my husband and I are not vegan. I’m thrilled to hear that! That’s great. :) Thanks a bunch for your comment! I started this as an attempt to try making a vegan pie but somehow got distracted and had to use real eggs. I’m sorry but I must say it came out really well. I still need to work on my texture but it tasted very delicious, Erin. One question: what’s the importance of coconut sugar? I just used normal store sugar. Looking forward to more of your pumpkin recipes. Thanks. Do you think substituting 1/2 cup of the almond flour for pecan flour be tasty? I definitely do! Sounds delicious. :) I’d love to hear how it comes out! 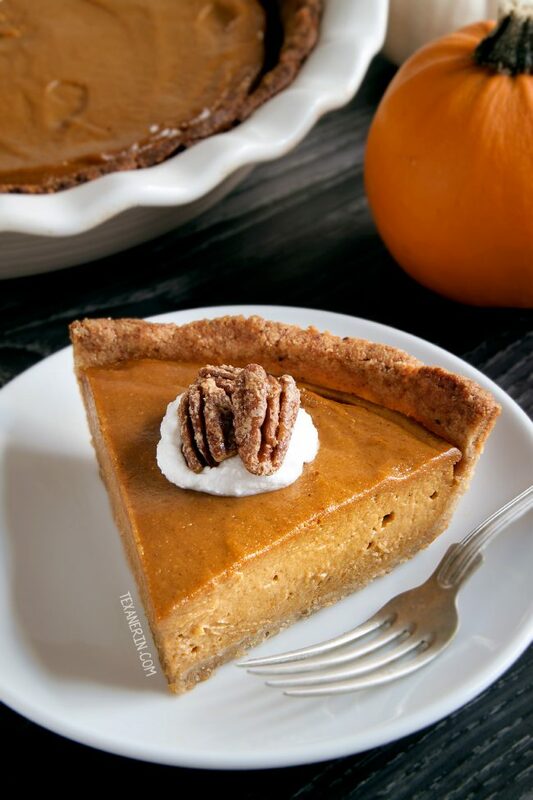 This vegan doesn’t love pumpkin pie but her husband does! Being an elementary teacher on Halloween he always comes home a bit unsettled so I decided to make him a pumpkin pie. I fouind yours and because I LOVE cashews in everything decided to try it. Let me tell you, this could be the first pumpkin pie I am going to love as I couldn’t stop eating the filling before it went into the oven! I will be back to report how much we loved it after it finishes baking and we eat it! Thank you for this recipe! Hi there! Unfortunately, nuts flours aren’t interchangeable with non-nut flours. I’ve heard of people using sunflower seed flour as a sub but I’ve never tried it and have no idea if it’d work here. Sorry about that! 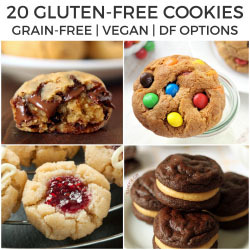 :( You could always find a crust recipe using GF AP flour and use this filling. This looks delicious and meets all of my dietary issues except one — I can’t have that much sugar. I don’t even like stuff that sweet anymore, thankfully. If I reduced the amount of maple syrup to about 2-3 tbsp (1/8 – 1/4 c), do you think it would set properly? I think reducing it to 2-3 tbsp from 16 tbsp wouldn’t work. Like you said, I don’t think it’d have the right texture. Sorry about that! I could be wrong, but I’d hate for you to risk it and waste all those good ingredients. Oopps. I see it doesn’t call for egg, but still, the syruo is not a thickener. I’d just reduce the sweetner. I can’t imagine it would affect it…and it woild still be delicuous. I reduced the syrup to 1/2 cup and found it set much easier after baking! Way less sweet than he first time I made it with the full cup. I also omitted the coconut sugar with no issue. I’m happy you enjoyed it with less sweetener! I guess I have a bad sweet tooth because 1 cup with coconut sugar was perfect for me. ;) Thanks for the tip! 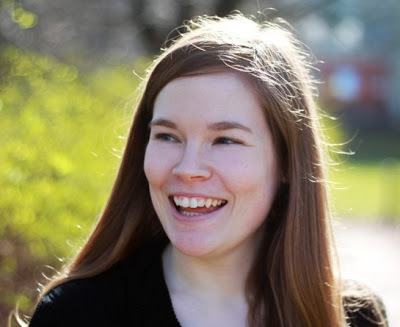 Thank you Erin! In Chile is very difficult to find anything with pumpkin. I love pumpkin and as a Fligh Attendant i can buy a lot everytime i fly to USA. My work has some benefits! I love your recipes. I will definitely try it! Do you now what happen if i put an egg or an egg yolk to the filling. It would be more dense?… Sorry for my english… I’m from Chile in South America. Thank you so much! I made 2 pumpkin pies for Thanksgiving – this one and the recipe on the back of a can of Libby’s pumpkin. Both delicious. I’d bet most people couldn’t tell them apart if you didn’t tell them beforehand that one was vegan. My vegan daughter loved it, as did I. We didn’t think the filling tasted “weird” after 4 days. I was lazy and used a store-bought crust (Marie Callender’s). Next time I’ll try your crust recipe. I love it when you post vegan recipes! I’m glad to hear that you and your daughter enjoyed the pie! And I’m happy you like my vegan recipes. I’m trying to post more vegan options when I can but the eggs get me almost every time! I’ll keep trying. :) Thanks a bunch for your comment! You’re recipes have been a life savor!! Can’t wait to try and make this for Thanksgiving ! Sorry for such a last minute question but what would you recommend to use instead of the cashews ? I am not a vegan however I can not have eggs nor wheat so i resort to most vegan options and gluten free options! This might defeat the purpose of making it vegan but all the other ingredients help me out a ton! I appreciate your feedback ! xox Happy Holidays ! Don’t be sorry! And it’s not last minute. :) Check out the comment from Robin below (two below yours). Sorry I don’t have a better / more helpful answer! I’m so happy you like my recipes and I hope you’ll enjoy the pie if you try it out. :) I’d love to hear how it goes! Thanks a bunch and happy holidays to you, too! I’m going to try using soaked pepitas/raw pumpkin seeds instead of cashews! Will let you know how it goes. I use them for my dairy alternative dips too! Aww, yay! I’m so happy to hear that it worked out well. Thanks a bunch for your tip! I’m sure it’ll help the others who need a cashew-free version. :) I’d also like to try it! Thanks again and happy Thanksgiving. Once again, you save the day! This might sound hyperbolic but I seriously don’t know what I would do without your wonderful recipes! I made this recipe 1-2 weeks ago under the guise of “recipe testing” for Thanksgiving – although being honest with myself, I knew it would turn out perfect and I didn’t need to do a test run; I just wanted pumpkin pie ASAP :) I’ve made/eaten my share of paleo pumpkin pies over the past few years and I told myself they were good enough but they were coconutty, more liquidy, and you could taste all the ‘alternative’ ingredients. When I saw you had made a paleo pumpkin pie, I got SO excited (I’m serious about pumpkin pie, can you tell ;D) because I knew it would turn out “legit”, as the kids say. I used a real egg, and ghee in the crust since my coconut oil was unrefined and I didn’t want to even risk having the slightest coconut taste. I also only had darker grade maple syrup so next time (aka when I make this again in two days!) I will use less- 3/4 of a cup, or just use lighter grade maple syrup instead. Even still, the pumpkin pie looked and tasted just how it should – amazing! – and, as evidenced by this long review, it meant WAY too much to me :) People who don’t eat paleo had some of the pie too and couldn’t tell the difference; they loved it. The pie barely lasted 2 days. Thank you, thank you!! And happy Thanksgiving! This is one of the nicest comments I’ve ever gotten! Thanks so much. You have totally made my week (it’s only Tuesday, I know, but nothing will top this ;)) And haha – nothing wrong with “recipe testing” when it comes to desserts! You wouldn’t want to disappoint anyone. ;) I’m thrilled that the non-paleo eaters enjoyed it, too! Thanks again for your lovely comment and happy Thanksgiving! Any suggestions for a substitution for someone allergic to cashews? Will any other kind of nuts work? I’m allergic to peanuts, cashews and pistachios, but I can have other nuts. This looks so good! Hmm. That’s a difficult one since the filling is cashew-based and they’re quite special in how creamy and soft they are once soaked. I found this conversation where people recommend pine nuts and macadamia nuts. I’ve never really baked with either but one person has used macadamia nuts in place of cashews in one of my cashew-cream based recipes (like this one). I’d love to hear how it comes out if you try it! Sounds silly, but do you drain the cashews after they’ve soaked or use both the water and the cashews? Not silly at all! You’ll definitely want to drain them. :) I’d love to hear how it comes out if you try it! I’m not a huge pumpkin pie fan, but this looks really incredible. Most pumpkin pies are really thin and not amazing, but this is the exact opposite! I’m so happy you liked it! And that’s great that 3/4 cup maple syrup was enough. :) Thanks so much for your feedback! My Daughter says, “daddy can we make a pumpkin pie together?” I say, “of couse sweetheart I have to go to Mrs.Erin to tell us what to do!” I crossed my fingers for a texerin pumpkin Paleo pie and BINGO!! You are touched by the finger of God himself your recepies are handsdown AWESOME!! My cookies, pancakes make me a rockstar thanks to you!! Thanks for sharing your gift with the world! Hi Cliff! It’s great to hear from you again. Thanks so much for your lovely comment. :) It made my day! Did you already make the pumpkin pie? Or you’re planning on it? Either way, I’m happy you found the recipe! And good timing because I just posted it a week ago. :D Thanks again for stopping by! That pie looks perfect and I love the sound of the almond crust, I’ll have to try that! I hope you’ll enjoy it! I agree – never too early for pumpkin pie! But this is great timing because we are all just starting to think about what to make for Thanksgiving! Vegan and Paleo, Erin?! Well done! That’s not an easy feat. This looks and sounds so rich and decadent! This surely looks rich and decadent! I’d love to dig in! That is one beautiful pumpkin pie!!! I’ve been hanging onto my last can of pumpkin puree for just the right recipe and here it is! I’m not sure that I’ll wait until Thanksgiving. I think this pie is worthy of your last can. :) I’d love to hear how it comes out! If you have a Kaufhof, they have Libby’s in the American section for 3.29. Sadly, our KL does not have an American section but does have a Russian section. Although they now have their own line of vegan products so I can’t be too upset! What a creamy looking pie. I love that this is paelo! This is a perfect recipe to try out at my next dinner party! I can’t get enough pumpkin during the Fall season! I hope everyone will enjoy it! Beautiful pie! I would love a slice right now! Same here! I’m so sad it’s gone. I have never cared for pumpkin pie either. I sure do like a good sweet potato pie. My mother made the best I have ever had. Never used a recipe. One of those kind. Ha!!! Haha. Have you tried recreating her recipe?! I want to try it! I love how your pumpkin pie looks. It’s creamy and delicious and that crust looks to die for! Oh my goodness, this pie looks so delicious!! I can’t wait to try it! I cant see that reducing the maple syrup would have any effect on thickeniing. I’d just increase the egg or egg substitute by one. The egg is the binder, not the syruo. Hi there! I’m not sure where you see that the maple syrup acts as a thickener? If anything, it makes it more runny. Like I said in the other comment, I don’t think reducing the maple from 16 down to just 2-3 tablespoons would work. That’s a lot of liquid to just omit from a recipe! But if you try it, good luck. :) Let us know how it goes! I bet the others would be interested, too. I think I need to try this version. I don’t love traditional pumpkin pie either, but this sounds great!